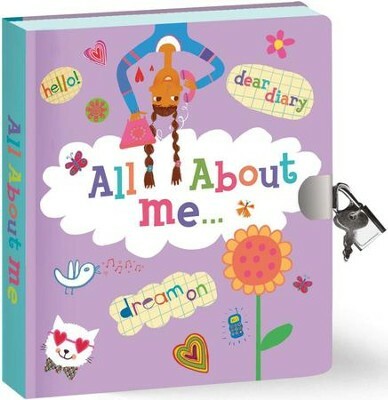 Children love to have a special "All About Me," diary where they can write their thoughts, doodles, secrets and wishes. This fun diary is the perfect book to set the mood for writing fun and happy ideas down. Write or draw on over 200 pages of lined diary paper, then safely keep all your precious thoughts, ideas and sketches safely under lock and key. Diary comes with a lock and two compatible keys. Diary measures 5.5"x 6.25"x 1". I'm the author/artist and I want to review All About Me, Lock and Key Diary.